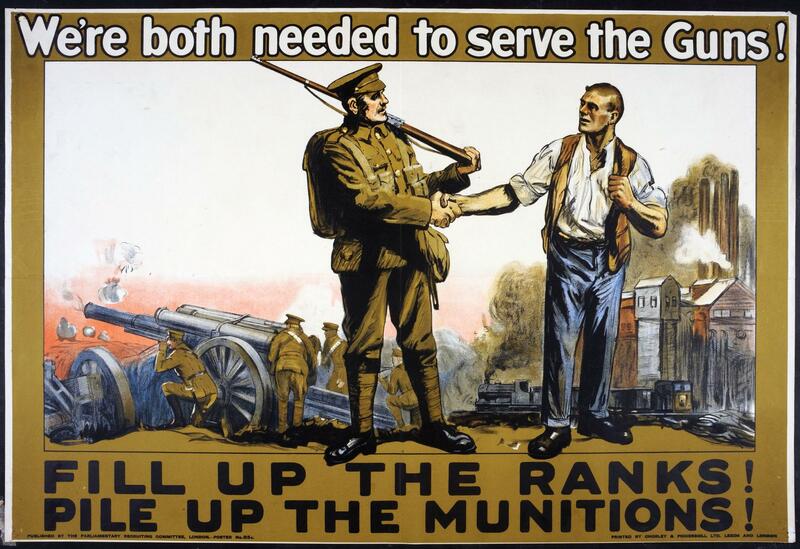 First World War recruitment poster; 'We're both needed to serve the guns! Fill up the ranks! Pile up the munitions! '; published by the Parliamentary Recruiting Committee, London; poster no.85c. Picture of a soldier and civilian factory worker shaking hands, focused on possible resentment by soldiers of 'slackers' at home and instilling fresh patriotic energy into munitions.